Man Sets His Wife And 11 Year Old Daughter Ablaze Over Property. HomenewsMan Sets His Wife And 11 Year Old Daughter Ablaze Over Property. 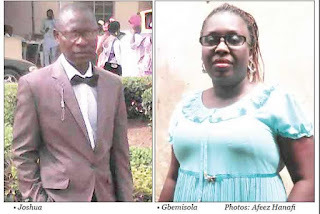 A 43-year-old teacher, Gbemisola Edward, and her 11-year-old daughter, Dolapo, have been confirmed dead at an Ogun State hospital after suffering from severe burns. The woman’s husband, Joshua, was said to have poured petrol on her, their daughter, and his seven-year-old son, Samson, and set fire on them. PUNCH Metro learnt the incident happened on Thursday on Augustine Street, Ire Akari Estate, in the Ifo Local Government Area, Ogun State, after a disagreement between the couple. Gbemisola’s son, Joshua Babatunde, 16, who escaped by a whisker, said his stepfather had wanted his mother to sell their three-bedroomed apartment, but she refused. He said, “It was the scream of my mother that woke me up. Dolapo and Samson were also set ablaze. I wanted to put out the fire when my stepfather poured petrol on me as well. Before he returned with matches, I managed to escape and reported at the Ifo Police Station. “He was working with a factory but was sacked some months ago. He then told my mother to sell the house so that he could use the money to start a business. But my mother said she would never sell the house she struggled to build. PUNCH Metro gathered that Joshua fled immediately the incident happened, while the victims were admitted to Aron Hospital, a private facility in the area. Dolapo was said to have died a few minutes after she got to the hospital while the mother died on Friday. Samson, who has burns in the head, hands and legs, is still responding to treatment. Gbemisola’s brother, Wale, said she had always been abused by the husband, adding that constant beatings forced her to relocate from Iyana Ipaja to Ifo. He said, “Their relationship had been fraught with quarrels since when he was living with my sister in our house at Iyana Ipaja. There was a time he threatened to kill her with a machete. He stole her money and fled. “When he knew my sister had built a house, he went there to reconcile with her. She insisted that they needed to go to the registry which they did in February. I visited my sister two weeks ago. She said her husband had been threatening her again and that she had told him to leave by the end of August. 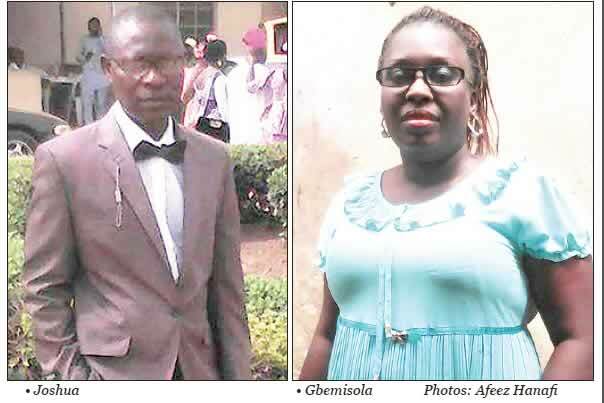 The Ogun State Police Command’s acting spokesperson, ASP Abimbola Oyeyemi, said the command had launched a manhunt for the killer husband.